Picked a bunch of tomatoes today , and yesterday , and the day before :) .. So I made roasted tomato sauce ..You just cut up the big tomatoes, I use 1/2 of a big onion for a sheet pan size, a bunch of fresh basil , some kosher salt and drizzle it all with olive oil..( last summer when I had alot of zucchini , I would cut one up and roast it too.. No one knew the difference and it got some more vegetables in my kids ! )Stick it in the oven at 425 for about 45 minutes to an hour..let them cool and then stick all of it in the blender.. This made 2 freezer bags that we will then use on pasta . When I use it I add one of the basil cubes and a little more salt , and a tiny pinch of sugar.. topped with romano cheese , its a wonderful way to use up those tomatoes ! 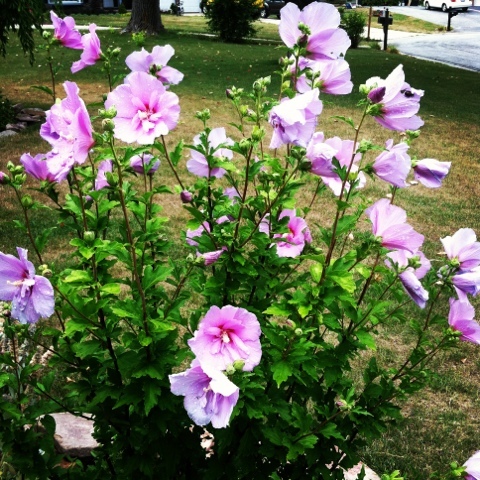 My rose of sharon plant seems to be enjoying the heat ! 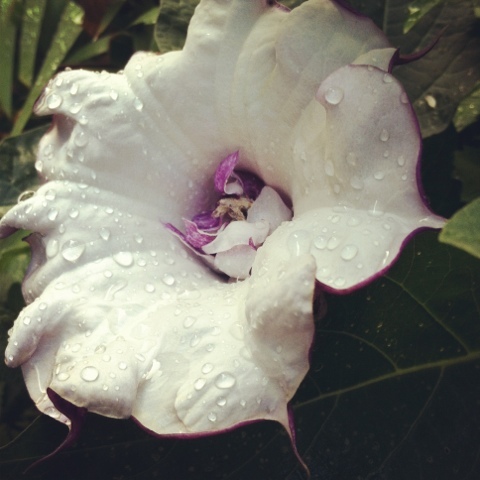 A Datura blossom from this morning..
That looks divine! I too made homemade sauce yesterday with my abundant tomatoes!! I did it stove top though. I read Alton Brown's recipe for roasted tomato sauce. It looks wonderful. I will be having a big basket full soon, and will try it that way next time to see the difference. 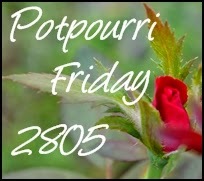 I bet the house smelled wonderful!!! 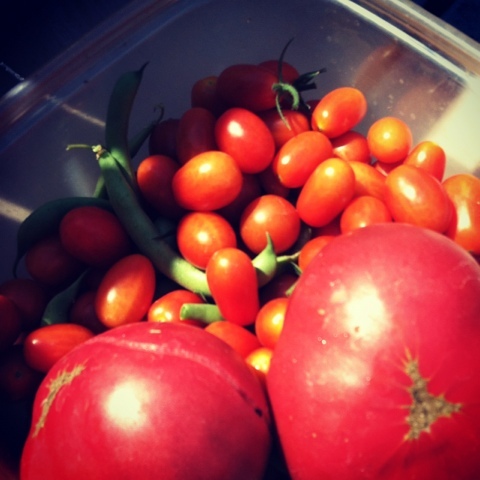 Oh, when more of our tomatoes ripen, that will be a great way to fix them--thanks for sharing, Priscilla! 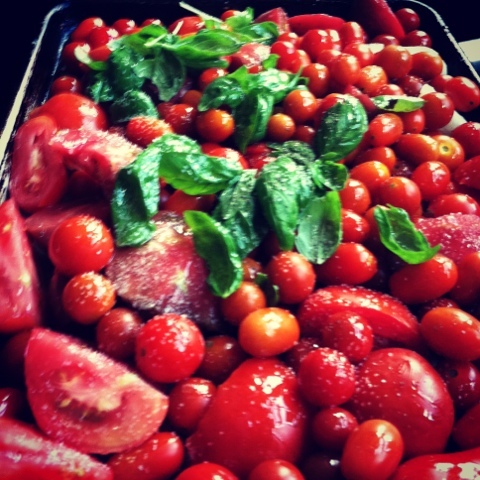 There is nothing like wonderful fresh summer tomatoes, is there? They look amazing in the pan with basil--yum! Have a great week, Priscilla!